Like a Voyage to the Sandwich Islands « John Bartram Lives! 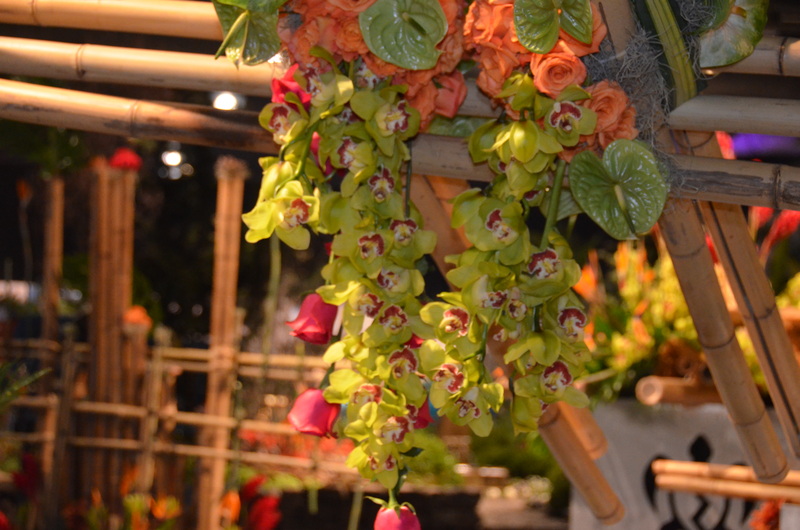 Orchids drip from bamboo forests. Color and light is in abundance. “Do just once what others say you can’t do, and you will never pay attention to their limitations again.” Captain James Cook. 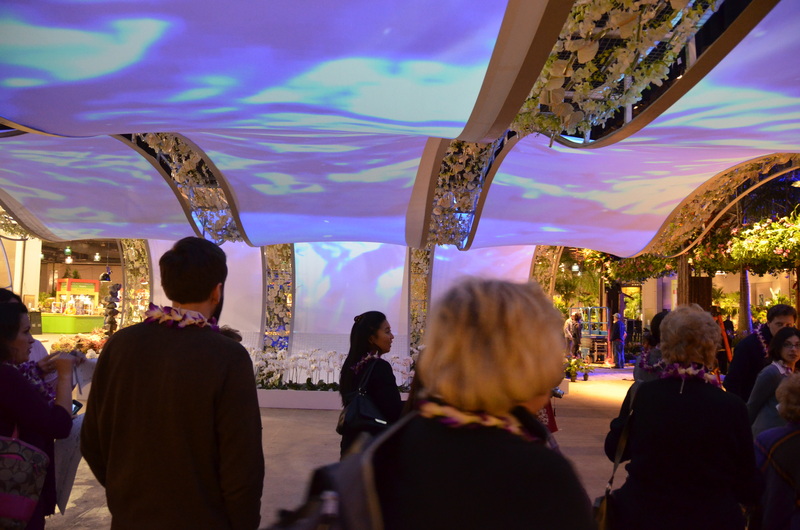 The visitors to the flower show enter through a wave that places them under the sea on the trip to the Hawaiian Islands. 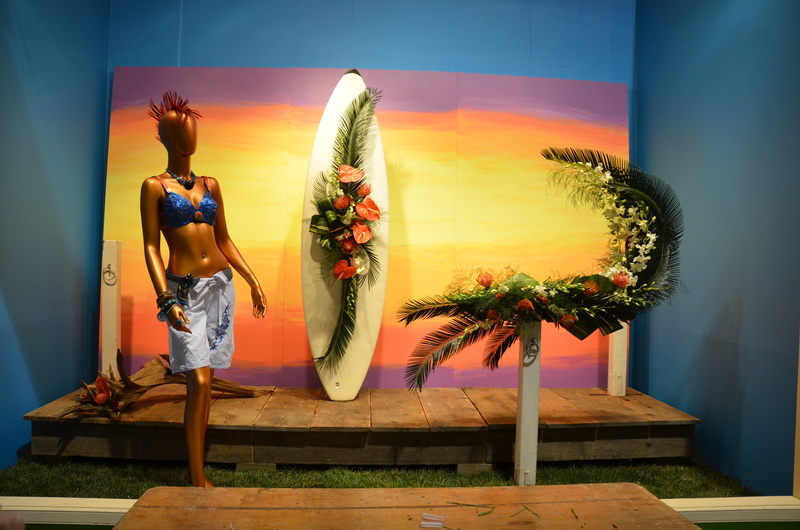 The Philadelphia Flower Show’s presentation of Hawaii this week has called me from the history of my travels and resurrected me from the dead of winter. It is truly a balmy atmosphere. It was on his third voyage of discovery that Captain Cook re-discovered and named the Sandwich Islands. This group of eight main islands in an archipelago spanning 1500 miles and several hundred assorted other islands and outcroppings is volcanic in nature. It sits in the midst of the earth’s largest geographic formation: The Pacific Ocean. Black volcanic stones stacked as totems to the island gods. The grassy meadow basks in the artificial glow of theatrical lighting. 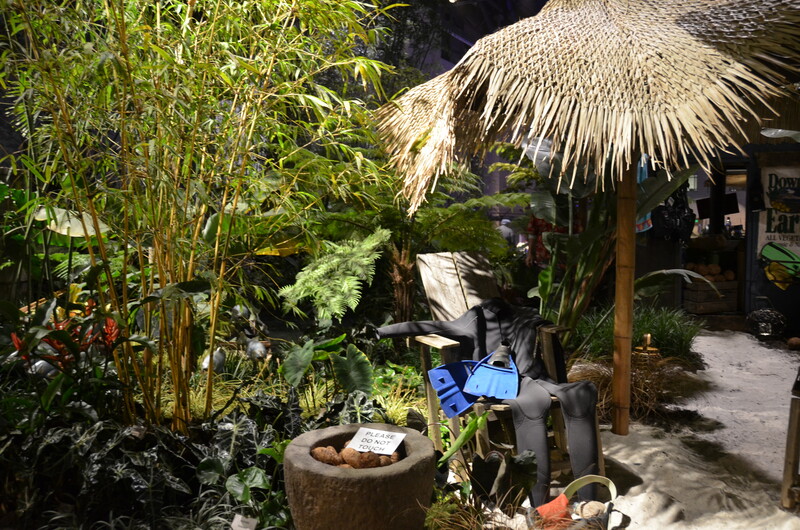 Cook was lucky to stumble on this tropical oasis—stuck as it is out in the middle of an ocean like a pin head surfacing in the folds of an Amish quilt. We’ve come to know these eight islands collectively as Hawaii. I paid attention to Cook’s travels because he was brought to the sea by a pair of seafaring Quaker brothers in the south of England. They were traders and I made their acquaintance through my own traffic in plants. Cook rose easily and mightily in the ranks of the English Navy. His is a record of discovery unparalleled in the English-speaking world. He discovered as many worlds as I discovered plants. It was and still is quite an accomplishment. 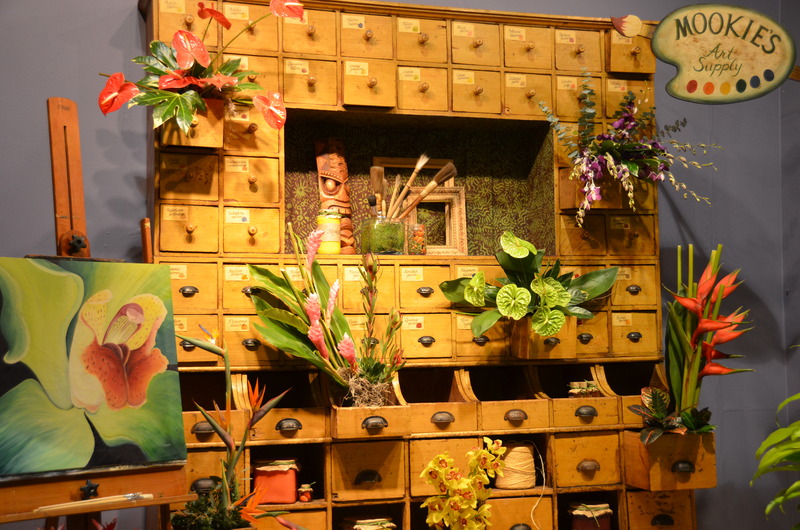 A visit to the flower show is like discovering a chest of many drawers. Each new opening, each new drawer is a surprise and a delight. This week, Cook’s islands were delivered to Philadelphia with their color, flavor, textures, temperatures, art and horticulture. What a spectacular tour-de-force of botanical splendor! 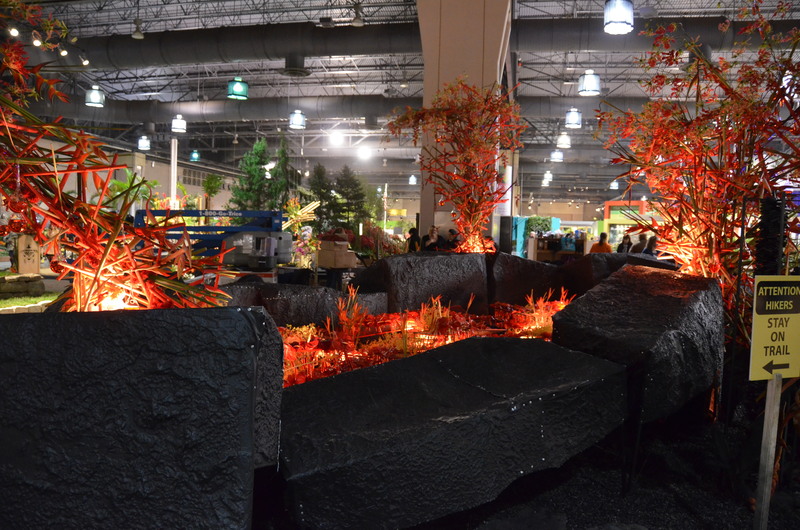 A recreation with fiery botanicals of the volcanic lava flowing across and through the islands. I post these pictures and include a photograph of the man responsible for capturing the images. He is my amanuensis, Kirk R. Brown. Many thanks to Marie Mims Butler, fellow garden writer and Virginia traveler, for providing this fleeting view of the recorder of John's travels. It would appear that he is just bursting with the great white light of over-exposure. « To the Greatest Horticultural Show on Earth! And I wonder what the connection was between Captain Cook and the Earl of Sandwich. Were they contemporaries? The Earl of Sandwich was older “Sandwiches” were ordered a generation before Cook went sailing. Cook was obviously pandering to a potential donor. Or Cook just wanted to have slices of ham between bookends of white bread! 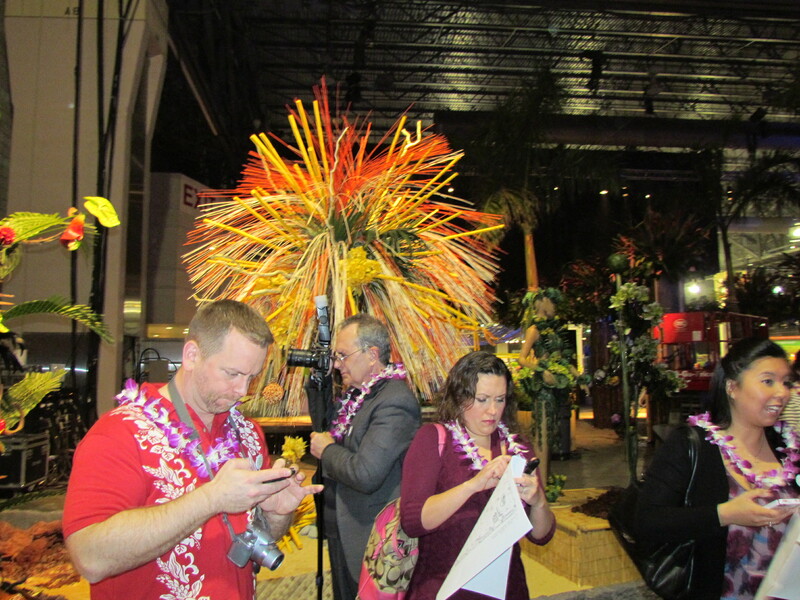 Oh to be in Hawaii now that March is here – or at least the flower show. 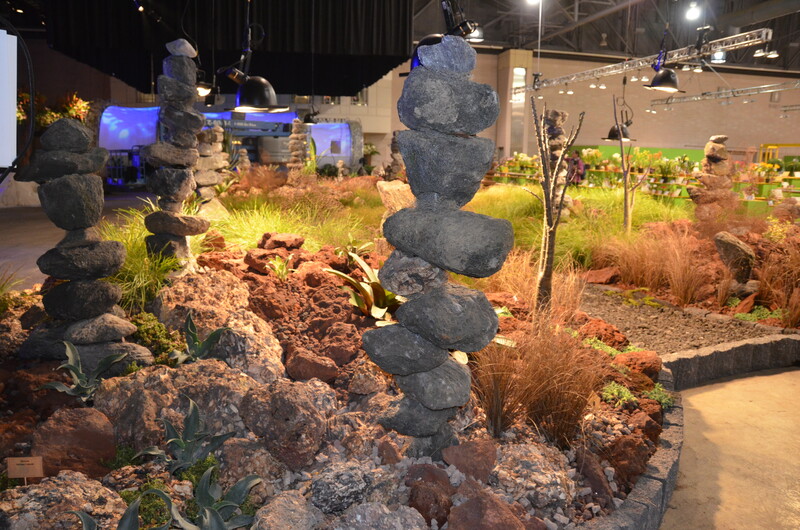 I am off to the Flower Show in Boston this week. And I went back to the Philly Show yesterday with a good friend from Oregon. We toured other gardens in the afternoon. Heaven!